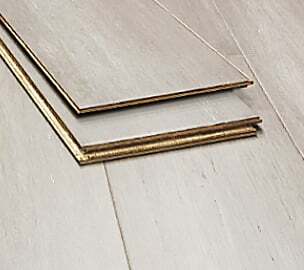 Perfect for DIY'ers, our floating bamboo click-lock floors just "click" together - no glue, no nails. 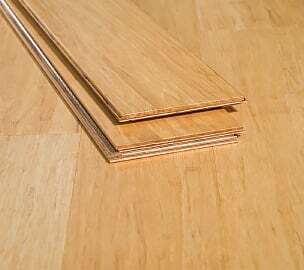 Click-Lock bamboo flooring generally comes in two options: solid planks and	engineered planks. 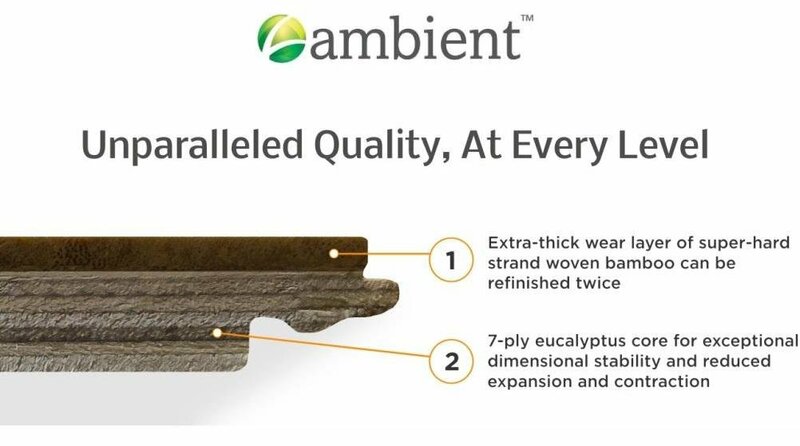 While both of these options provide for fast and easy installation, engineered planks	provide more dimensional stability, while solid click lock planks are only recommended for environments with very stable	indoor humidity. 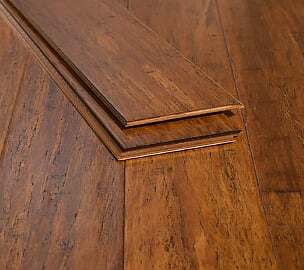 Click lock bamboo floors come with interlocking profiles on all 4 sides of the planks that snap together to make installation a breeze. No glue, no nails. 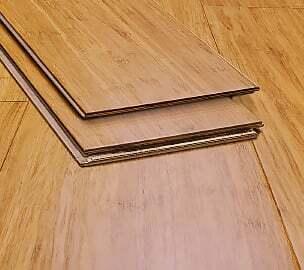 This snap together bamboo flooring just "clicks" together and look exactly like tongue-and-groove flooring once installed. Also known as snap lock or snap together bamboo flooring, our click lock bamboo floors are perfect for do-it-yourself'ers. You just cut the boards to the right size and snap them into place. No extra tools, virtually no clean-up, and no waiting for glue to dry. 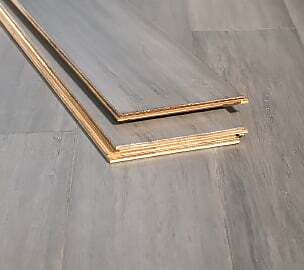 You can finish installing your floor on Saturday afternoon and host a party on Saturday night. 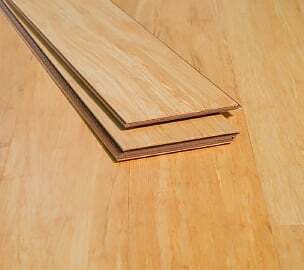 Note that our click bamboo floors are as easy to take apart as they are to put together - just "unclick" the boards and you're done. 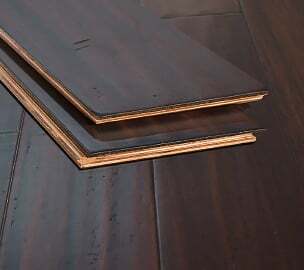 Whether you choose a tongue-and-groove profile or bamboo flooring with a locking/snap together flooring system, you'll need to be sure of a few things before beginning installation. First, let the product adjust to the humidity of the room it will be installed in for at least 72 hours prior to beginning work. 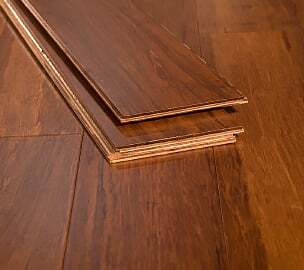 On a dry winter day when your home's heating system is on, bamboo locking flooring can shrink if the relative humidity drops below 35% (as with any wood floor). Consider using a humidifier to expand the wood to its natural size before proceeding. Make sure the sub-floor you will be installing onto is clean, dry, structurally sound and level. Don't install on existing carpet or padding unless it is firm and not compressible. When installing onto a concrete sub-floor you must use a 3 in 1 vapor barrier. Full installation instructions and recommendations can be found on our website. 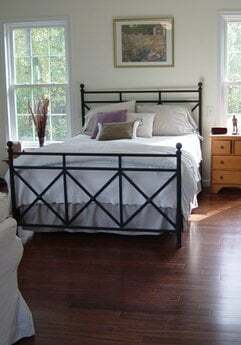 With just a few simple precautions, even the most inexperienced homeowner can install our floating bamboo floors! 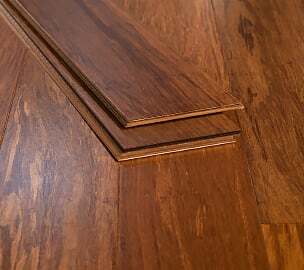 Below is a quick write-up of the two types of locking bamboo floors that are currently sold on the market. 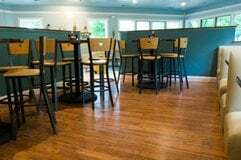 Please note that solid all-the-way-through locking bamboo flooring is only meant to be installed in very stable indoor environments, as extreme fluctuations in humidity can lead to issues with dimensional stability and increased risk of shrinkage. 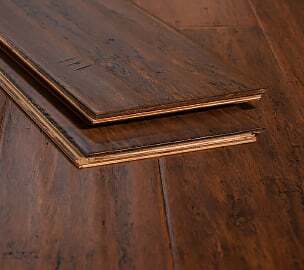 We also carry multiple engineered snap lock bamboo flooring styles.